The Nixon Library and the National Archives on Wednesday are releasing the final 340 hours of the White House tapes President Nixon recorded for his own use, providing Nixon's uncensored perspective of a tumultuous period in history. The tapes cover the period from April 9 through July 12, 1973 - the final few months Nixon continued to record his conversations in the White House. They immediately follow the period in which Nixon admitted responsibility for Watergate, and in which the final American troops came home from the Vietnam War. "It's an incredibly interesting time in American history, and we have this one-of-a-kind source of highly accurate information about it - it's kind of like a time machine," Ken Hughes, a researcher with the Presidential Recordings Program at the University of Virginia's Miller Center, told CBSNews.com. "They provide a relatively raw, uncut view of the presidency we never had before and probably never will again." According to the Nixon Library, the tapes cover Watergate and other domestic issues like the Wounded Knee siege, as well as foreign policy issues like the Vietnam peace settlement and the return of POWs. 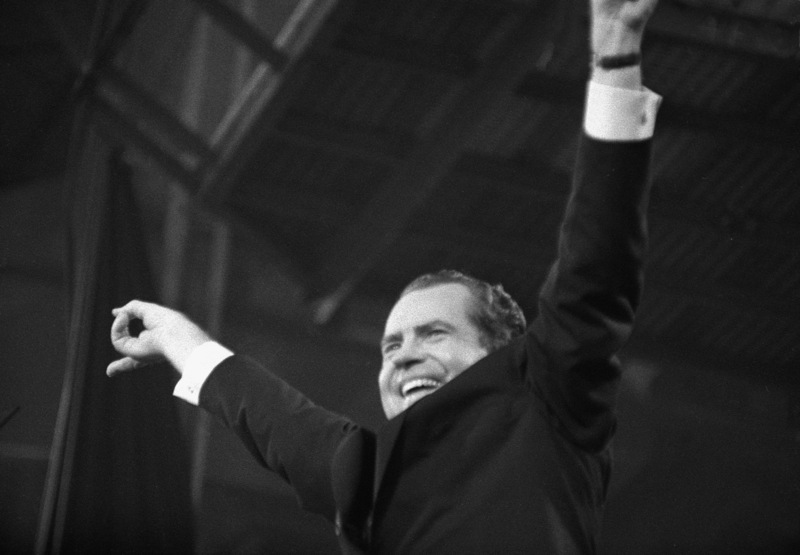 The common perception of Nixon's legacy is that his domestic record was tainted by Watergate, while his foreign policy record included brighter spots like improved relations with China. However, said Hughes, "What I've learned from studying the tapes is that really the worst things Nixon did had to do with the Vietnam War." Previously released tapes make it clear, Hughes said, that Nixon timed the American withdrawal of troops to his 1972 re-election campaign. The tapes that will be released Wednesday could provide valuable insight into another foreign policy move - Nixon's decision to accept a congressional ban on the use of American force in Indochina (Vietnam, Laos and Cambodia). Nixon preemptively told Congress he would accept the ban, but he and his supporters later blamed it for the fall of Saigon. Hughes said he hopes to find out "whether there was some political calculation on Nixon's part in deciding to let Congress tie his hands." The tapes also include recordings of Nixon's calls and meetings with world leaders and future presidents like Ronald Reagan and George H.W. Bush. They were recorded when Congress was ramping up its Watergate investigations. "I'm hoping we'll get to hear Nixon try to explain Watergate to Reagan and hear what Reagan says about that," Hughes said. The final recordings are being released 40 years after their creation because of the exhaustive government review process the tapes undergo. Federal agencies review them for sensitive information that's critical to national security. Conversations related to personal family issues are also removed. Nevertheless, they provide the public with unrivaled access to history. Along with the tapes, the Nixon Library on Wednesday is releasing more than 140,000 pages of documents. This article was corrected that the tapes include conversations about the siege at Wounded Knee, not the massacre at Wounded Knee.